It's never been easier to find hospitality jobs. Harri is the premier hospitality network with over 120,000 members. 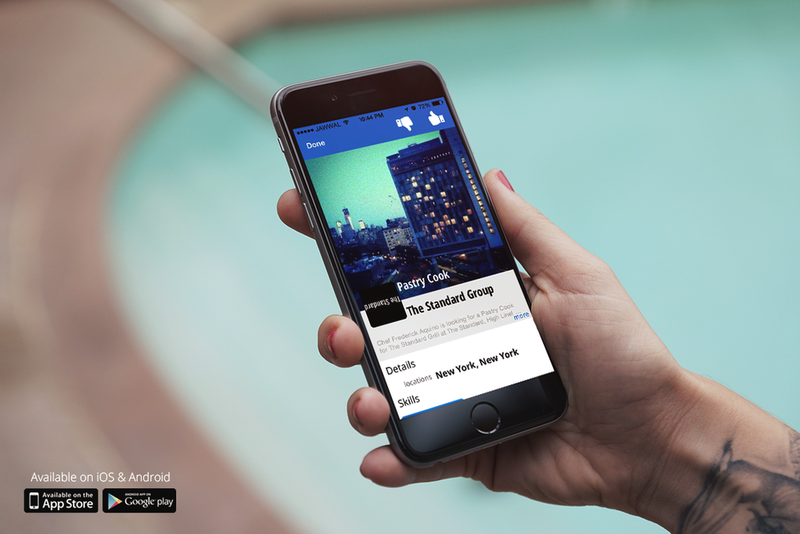 With our app, you'll be able to connect with top hospitality companies and discover who is hiring from anywhere. The Harri Mobile App serves up tailored job opportunities directly to you, right on your smartphone. Simply swipe left to pass or swipe right to save. You can apply to your saved jobs with a few clicks. You'll never miss out on another great job opportunity. Why use a plain old black and white resume when you can also use your smartphone to create a professional, custom profile? Separate yourself from the competition by using the camera on your phone to upload photos and / or videos which demonstrate your knowledge, skills and personality to show future employers everything you bring to the table. Find out who's hiring from anywhere with our easy to use app and never miss another great job opportunity by connecting directly with top hospitality companies in a matter of seconds. It's time to job hunt the modern way. Download the Harri Mobile app for free.